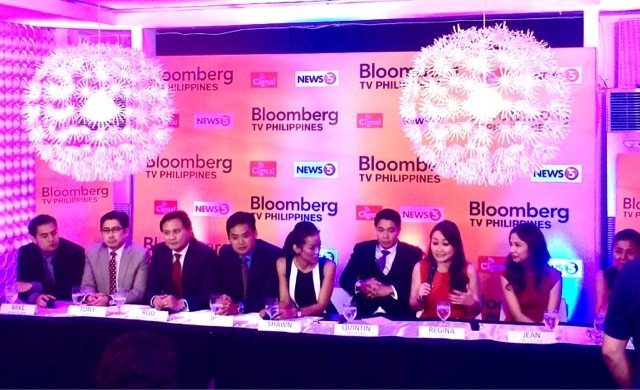 Had the chance to cover the reveal of Bloomberg TV Philippines' anchors a few days ago in Circho in Quezon City. I must say, their resume alone had me doubt my own credentials because these guys and gals probably live and breathe business, marketing, and their own respective expertise so you're going to get up front technical analysis, business advice and the needed information so you can decide where, how and why you need to invest in the Philippines. Judging from the looks of it, they're all fine by me. Some are veteran broadcasters, some are new, but the fact that they are actually experts in their own fields make them the perfect hosts for their respective shows. Bloomberg TV Philippines is exclusively seen on CIGNAL, who just hit their 1 Millionth subscriber a couple of weeks ago. With this channel at their helm, a lot of corporate entities, offices would surely have the right mind to subscribe and ditch the old wired cables in their homes. That's also how they plan to finance the operations of the paid service channel even if they don't have that much sponsors in the network. Watch out for the summaries which you can see in 2 minutes during trading day so you can get the freshest business news today, only in Bloomberg TV Philippines!